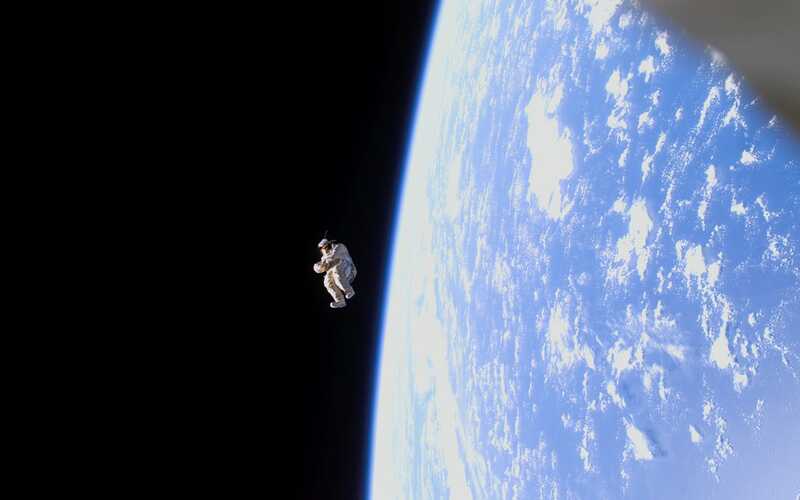 No, this isn't a scene from a sci-fi movie — this spacesuit is empty. Dubbed SuitSat-1, this unneeded Russian space suit was filled with old clothes and launched to orbit the Earth in 2006. This is the Mississippi River, pictured just south of Memphis, Tennessee in 2003. You can see the blocky shapes of towns and fields surrounding the river. 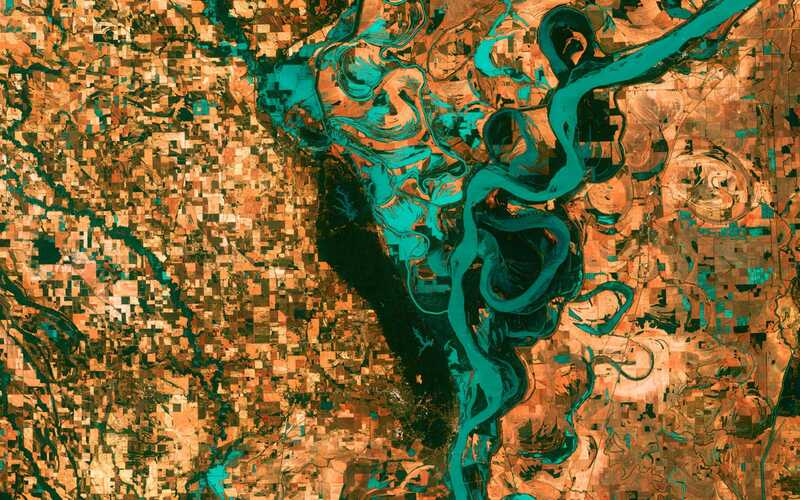 Countless oxbow lakes — which are formed as the river changes course — can be seen in the image as well. 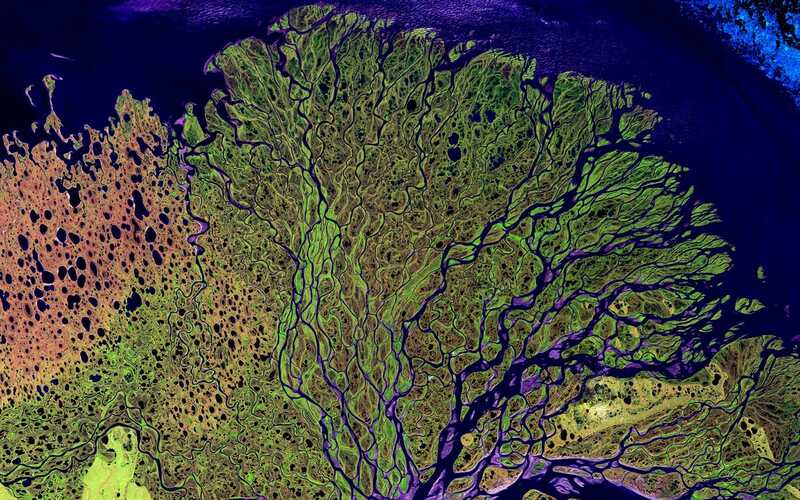 This is the Lena River in Russia, one of the largest river systems in the world. It's also an important breeding ground for many Siberian species. 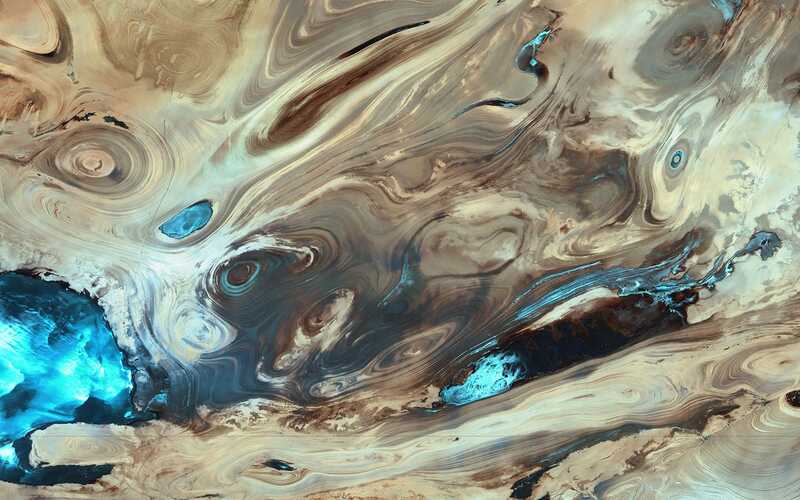 This is the Dasht-e Kevir, or Great Salt Desert, the largest desert in Iran. It's primarily an uninhabited wasteland, composed of mud and salt marshes. 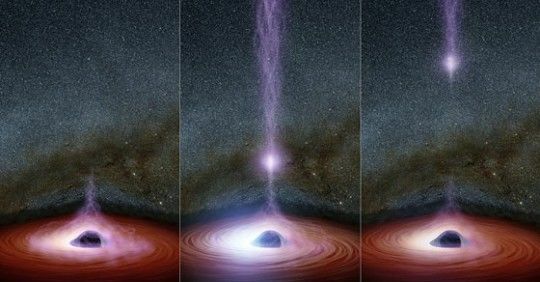 It really is an awesome sight to visit. 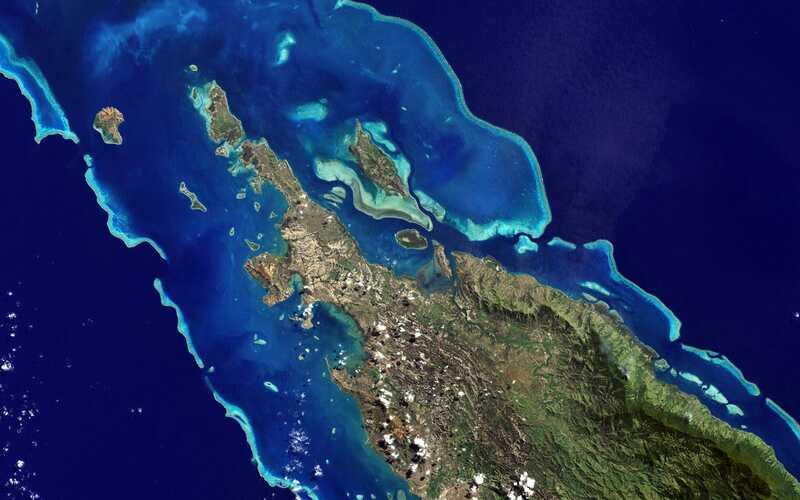 Here's an awesome natural color image of one of the islands of New Caledonia, a remote archipelago 750 miles off the coast of Australia. The paler blue is shallower water, while the dark blue is the deep sea. This false-color image shows Western Australia in 2013. 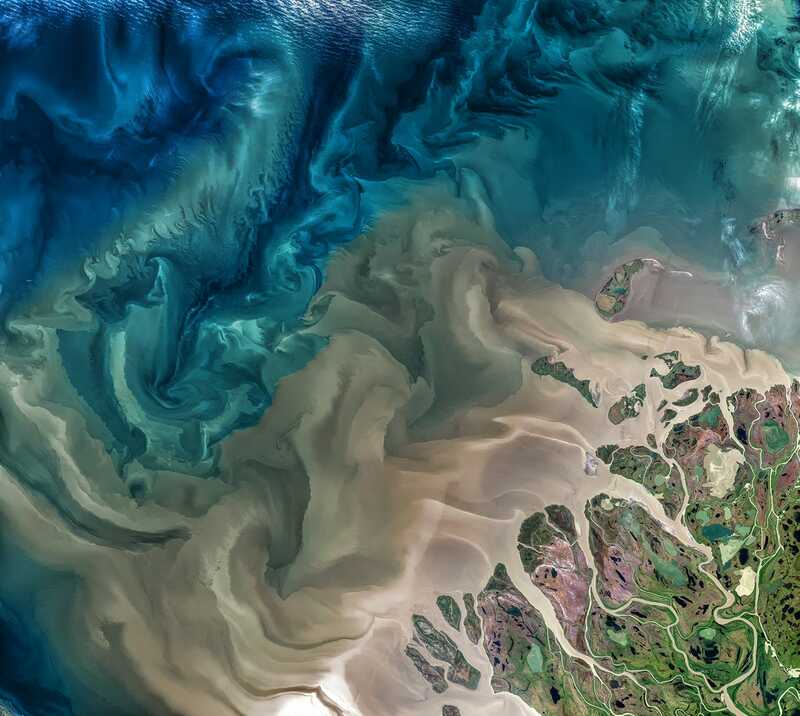 It depicts the rich sediment and vegetation patterns of a tropical estuary. Pictured here are the Anti-Atlas mountains, a subset of the Atlas Mountain range in southern Morocco, Africa. 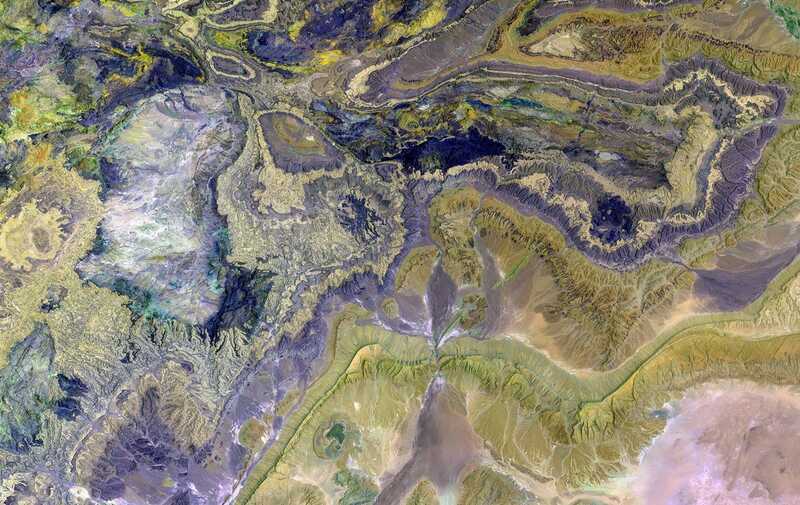 This false color image depicts some of the world's largest and most diverse mineral resources. 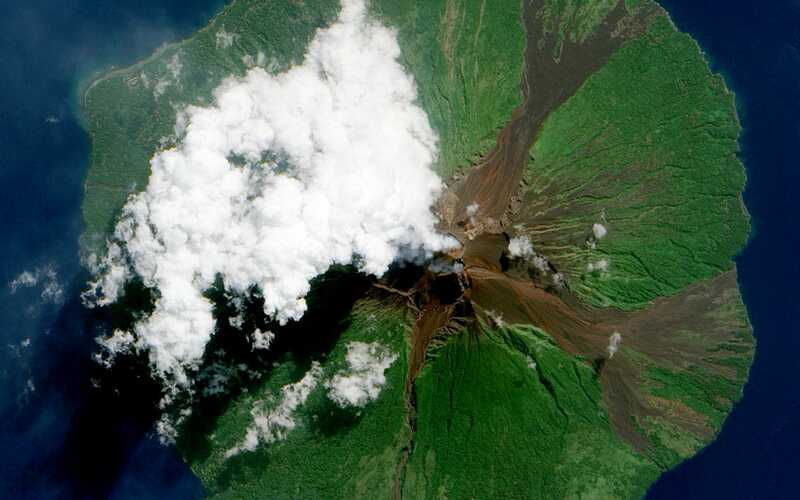 The Manam Volcano, as seen in 2010, is located a few miles off the coast of Papua New Guinea and forms a six-mile-wide island. It's hard to say what caused the white plume, but it's likely volcanic activity from this highly active crater. This false-color image shows snow-capped peaks and ridges of the eastern Himalayas between major rivers in southwest China. 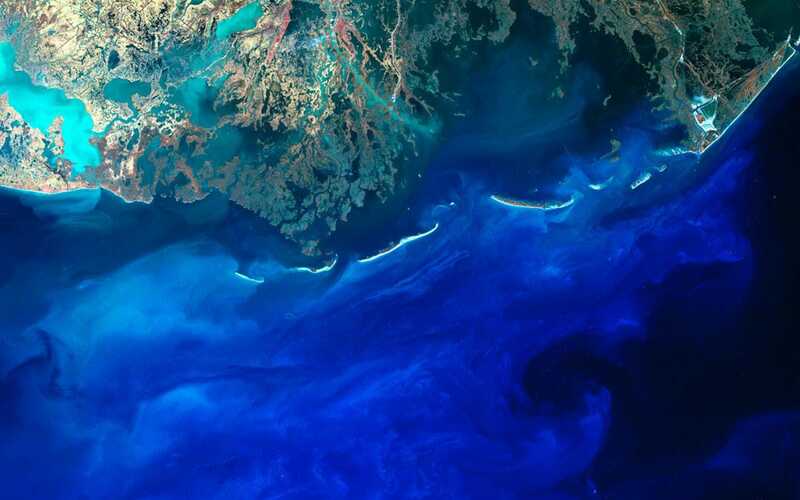 Here's a view of Louisiana you probably haven't seen before: Silt flows into the Gulf of Mexico from the mouth of the Mississippi River. It is one of the best sights to see when you are in states and also looks awesome from space. 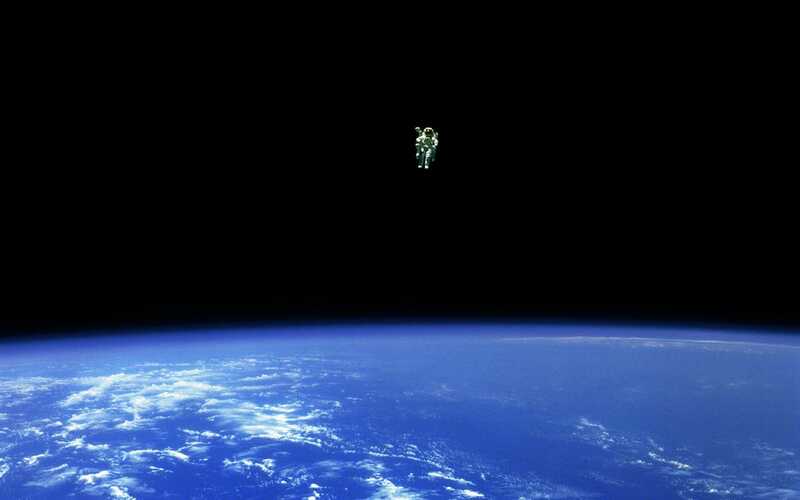 In 1984, Bruce McCandless II ventured further away from the confines and safety of his ship than any previous astronaut had ever been. McCandless "free-flew" 320 feet from the safety of his ship, with the help of a nitrogen jet-propelled backpack. 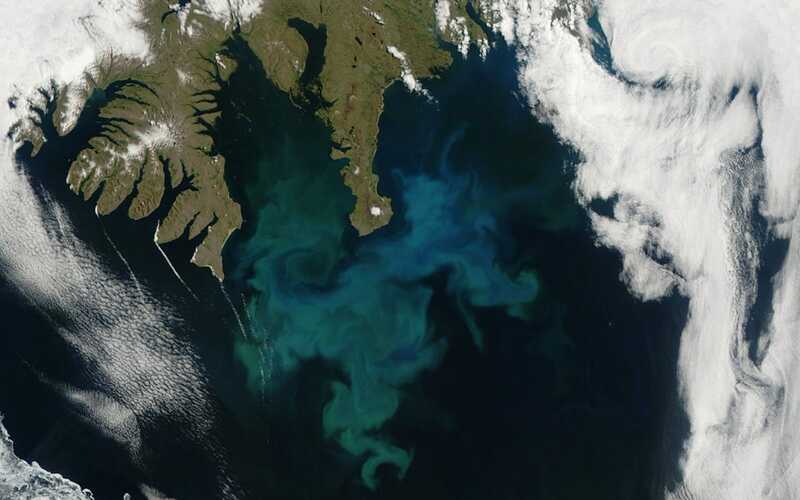 This phytoplankton bloom was captured off the coast of Iceland by NASA's Aqua satellite in 2010. 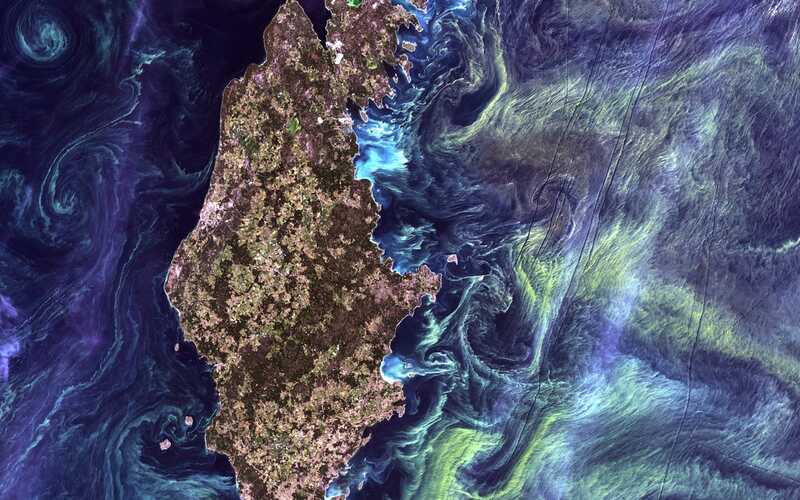 Like a Van Gogh painting, massive congregations of greenish phytoplankton swirl in the dark water around Gotland, a Swedish island in the Baltic Sea. 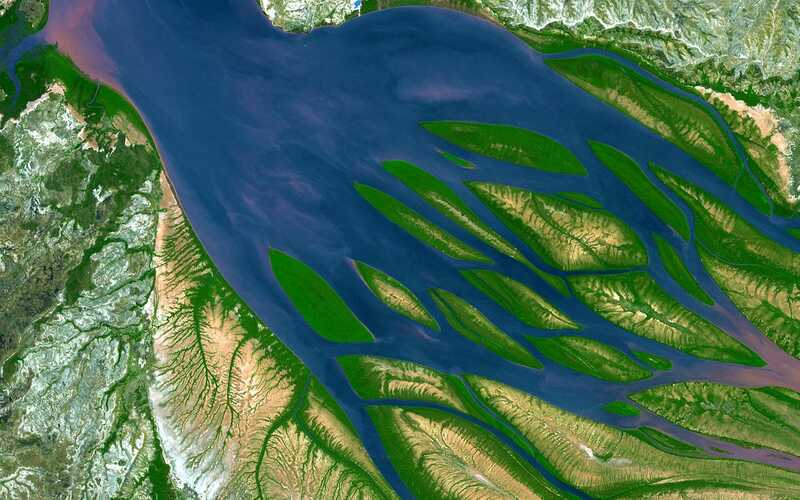 This is an image of the Mackenzie River in Canada, taken from a NASA/USGS satellite earlier this year. The river plays a major role in modulating the Arctic's climate, as warmer fresh water mixes with colder seawater. 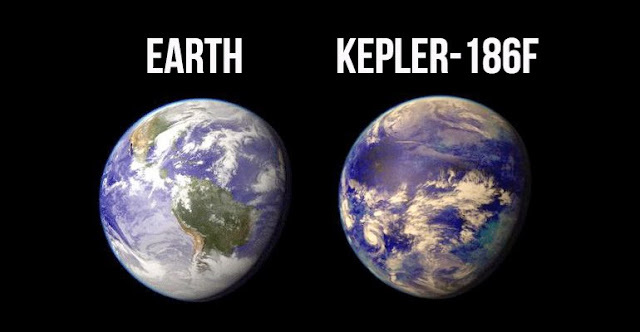 This spectacular image is the most detailed true-color image of the entire Earth. 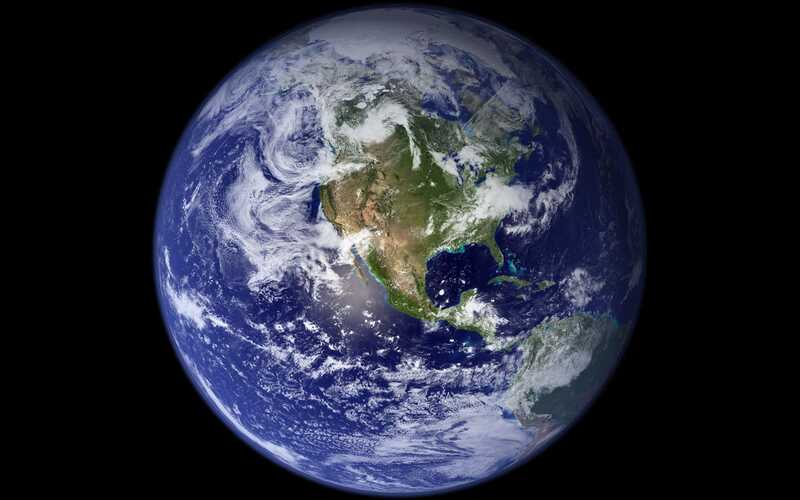 Scientists stitched together thousands of satellite images to form this composite in 2002. This is us. This is home. This pale blue dot is our home and still just a tiny fraction of this massive universe. 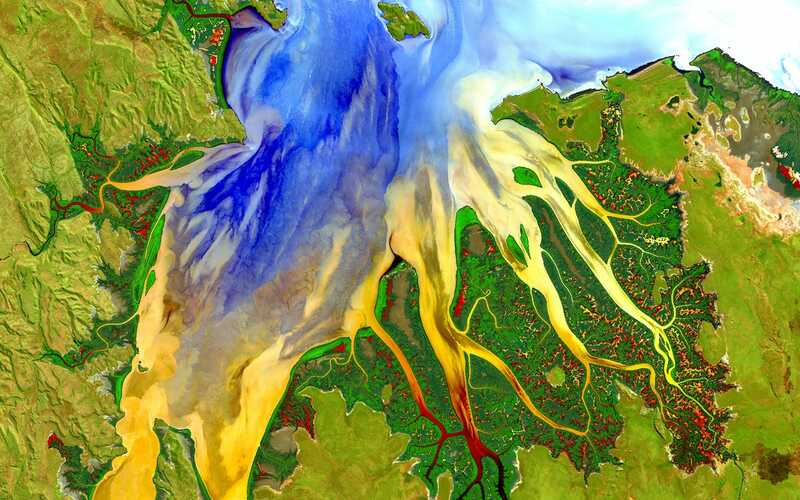 This is a false color image of Bombetoka Bay in northwestern Madagascar.